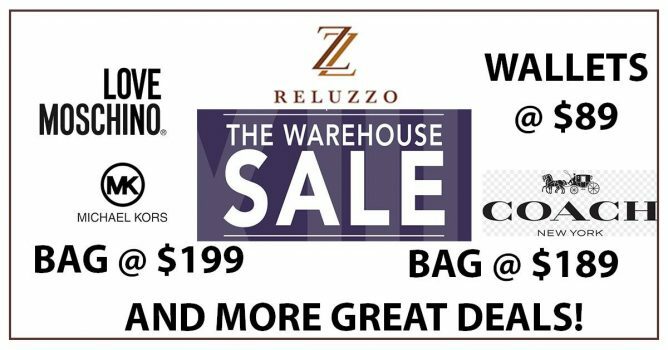 Home > Fashion > Handbag > Reluzzo: Crazy Warehouse Sale with Clearance Prices on Bags & Wallets from Coach, Michael Kors, Love Moschino & More! 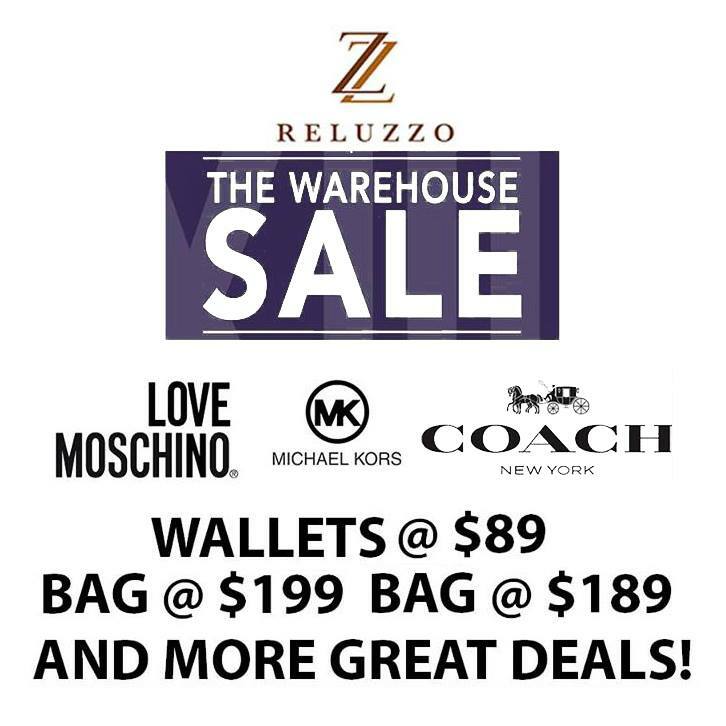 19 - 21 Oct 2018 Reluzzo: Crazy Warehouse Sale with Clearance Prices on Bags & Wallets from Coach, Michael Kors, Love Moschino & More! Reluzzo SUPER CLEARANCE SALES THIS WEEKEND! Bags at $199, Wallets at $89. Everything is priced to GO! Dont miss this clearance. See you! Previous: BHG: Expo Sale with Up to 80% OFF & Many PWPs to Choose From! Next: [Chain Reaction Cycles] 60% off: Warehouse Clearance starts now!